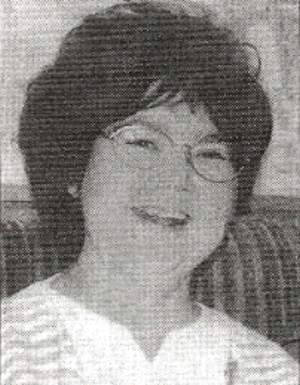 Obituary – Anderson, Sandra Gail (Wilson) « Perry High School Alumni Association, Inc.
﻿Funeral services for Sandra Gail (Wilson) Andersen were held in Wichita, KS, on May 26, 2006. Sandy was born to Walter and Florence Wilson on July 9, 1955 in Olney, TX, and died at Mayo Clinic in Rochester, MN on. May 20, 2006. She grew up and attended school in Perry. 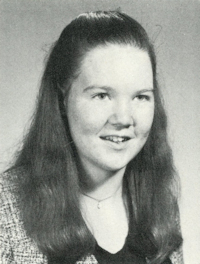 She was a graduate of the class of 1973. She continued her education at NOC and Wichita State University where she earned a degree in nursing. She began her career as an RN in the neonatal center at Wesley Medical Center, then worked for Dr. Enic’s office, then continued her career as a case management nurse. She was married to Ronald Andersen on March 6, 1982 and they have four daughters Stephannie, Stacy, Rendi, and Rebecca. They are members of the Wichita First Church of the Nazarene. Sandy is survived by her parents Walter and Florence Wilson of Marble Falls, AR; her husband Ron Andersen of the home, their daughters Rendi and Rebecca of the home, Stephannie of Wichita, KS, and Stacy of Wichita,KS; two grandchildren, Zackery and Kaitlyn and one on the way; two brothers: Allen and Glinda Wilson of Marble Falls, AR, and Cletus and Vivian Wilson of Stillwater, OK; six sisters: Karen and Terry Douglass of Yuma, CO, Rita and Gary Scramblin of Marble Falls, AR, Sherry McAllister of Marble Falls, AR, Joy and Todd Hatchett of Perry, OK, Joniece and Fred LeValley of Blackwell, OK, and Janita and Nick Stavroplus of McGreggor, IA; and several nieces and nephews. Memorials can be sent to the Mayo Clinic in Rochester, Minnesota in the Memory of Sandra Andersen. Please consider organ donation, to provide others the second chance that Sandy had.